Please read this agreement carefully before accessing or using this web site. By accessing or using the site, you agree to be bound by this agreement. The information and services on this site are provided by ForGuitar.com and its suppliers, subject to your agreement to the terms and conditions below. The staff of ForGuitar.com and its users create the majority of the content in this site. The information (including without limitation advice and recommendations) and services on the site are intended solely as a general educational aid. ForGuitar.com and its agents assume no responsibility for any consequence relating directly or indirectly to any action or inaction you take based on the information, services or other material on this site. While ForGuitar.com strives to keep the information on this site accurate, complete, and up-to-date, ForGuitar.com and its suppliers cannot guarantee, and will not be responsible for any injuries, damage, or loss related to, the accuracy, completeness or timeliness of the information. Unless otherwise noted, all of the text, audio, and video content within ForGuitar.com is the copyrighted property of ForGuitar.com. This copyrighted material includes all writing by staff, video lessons, and some of the artwork, drawings and logos. You may print out any articles and activities for your personal use only. Materials may not be reproduced on another website, book, or publication without express written permission. Any reproduction or editing by any means mechanical or electronic without the explicit written permission of ForGuitar.com is expressly prohibited. Certain names, logos, phrases, and artwork on these pages may constitute trademarks of ForGuitar.com or its sponsors. The mark “ForGuitar.com” and the contents of its website are the sole property of ForGuitar.com. Reproduction in whole or in part is strictly prohibited without written permission of ForGuitar.com. ForGuitar.com also cannot guarantee that all content and material appearing in the ForGuitar.com website is not infringing on any registered or non-registered copyrights. Users who post materials to this site (e.g., bulletin boards or chat rooms) agree to abide by the following rules: (1) users may not post or transmit material that is libelous, defamatory, obscene, fraudulent, harmful, threatening, abusive or hateful, that violates the property rights of others (including without limitation infringing use of a copyright or trademark), that violates the privacy or publicity right of others, or that is in violation of applicable laws; (2) users may not interfere with other user’s use and enjoyment of this site; (3) users may not use this site to conduct any activity that is illegal or that violates the rights of others; (4) users may not use this site to advertise or sell products or services to others; and (5) users must immediately inform ForGuitar.com if they have reason to believe that a user is infringing any copyrighted materials. 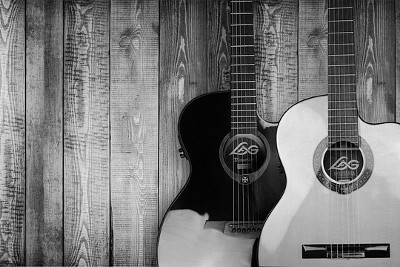 A user posting material represents that such material is unique to the user or used with permission of the copyright holder, and assigns to ForGuitar.com ownership of such material. ForGuitar.com has no responsibility for the content of any material posted by users, but ForGuitar.com reserves the right in its sole discretion to (i) edit or delete any documents, information or other material submitted to or appearing on this site, and (ii) refuse access to the site to any user that violates this agreement. Bulletin boards and chat rooms contain the opinions and views of other parents. ForGuitar.com is not responsible for the accuracy of any messages on this site and you should always consult a physician or other qualified health care provider before relying on any information you find on this site. This site may include links to other Internet sites solely as a convenience to users. ForGuitar.com does not endorse any such sites or the information, material, products or services contained on or accessible through the sites, and you access and use such sites, including information, material, products and services therein, solely at your own risk. FORGUITAR.COM AND ITS SUPPLIERS DISCLAIM ALL EXPRESS AND IMPLIED WARRANTIES WITH REGARD TO THE INFORMATION, SERVICES, AND MATERIALS CONTAINED ON THIS SITE INCLUDING WITHOUT LIMITATION ANY IMPLIED WARRANTIES OF MERCHANTABILITY, FITNESS FOR A PARTICULAR PURPOSE, AND NON-INFRINGEMENT. ALL SUCH INFORMATION, SERVICES, AND MATERIALS ARE PROVIDED “AS IS” AND “AS AVAILABLE” WITHOUT WARRANTY OF ANY KIND. IN NO EVENT SHALL FORGUITAR.COM OR ITS SUPPLIERS BE LIABLE FOR ANY SPECIAL, INDIRECT, PUNITIVE INCIDENTAL, EXEMPLARY OR CONSEQUENTIAL DAMAGES, OR ANY DAMAGES WHATSOEVER RESULTING FROM LOSS OF USE, BUSINESS, DATA OR PROFITS, LITIGATION AND THE LIKE, WHETHER BASED ON BREACH OF CONTRACT, TORT (INCLUDING NEGLIGENCE), PRODUCT LIABILITY OR OTHERWISE, EVEN IF ADVISED OF THE POSSIBILITY OF SUCH DAMAGES. WITH RESPECT TO GOODS OR SERVICES PURCHASED THROUGH THIS SITE, FORGUITAR.COM’S LIABILITY, IN ANY CASE, IS EXPRESSLY LIMITED TO REPLACEMENT OF DEFECTIVE GOODS, OR, AT FORGUITAR.COM’S ELECTION, TO THE REPAYMENT OR CREDITING OF BUYER WITH AN AMOUNT EQUAL TO THE PURCHASE PRICE OF THE GOODS. YOU ACKNOWLEDGE AND AGREE THAT THE LIMITATIONS SET FORTH ABOVE ARE FUNDAMENTAL ELEMENTS OF THIS AGREEMENT AND THE SITE WOULD NOT BE PROVIDED TO YOU ABSENT SUCH LIMITATIONS. SOME STATE STATUTES MIGHT APPLY REGARDING LIMITATION OF LIABILITY. You agree to indemnify, defend and hold harmless ForGuitar.com, its affiliates and suppliers from any liability, loss, claim and expense (including attorneys’ reasonable fees) related to (i) your violation of this agreement, and (ii) your posting of material to this site. All materials on this site (as well as the organization and layout of the site) are owned and copyrighted by ForGuitar.com or its suppliers and may be accessed, downloaded or printed for your personal non-commercial use only. Without the prior written permission of ForGuitar.com or its suppliers, you may not copy, distribute or transfer any material on this site, in whole or in part. ForGuitar.com and its suppliers may make improvements or changes in the information, services, products, and other materials on this site, or terminate this site, at any time without notice. ForGuitar.com may modify this agreement at any time, and such modifications shall be effective immediately upon posting of the modified agreement. Accordingly, you agree to review the agreement periodically, and your continued access or use of this site shall be deemed your acceptance of the modified agreement. ForGuitar.com makes no claims, promises or guarantees about the accuracy, completeness, or adequacy of the contents of its resources and expressly disclaims liability for errors and omissions in the contents therein.